These are the shortcuts listed under the Window menu, but I think it would make more sense to say ⌘+⇧+], since that's actually what you type. ⌘ + ⇧ + arrow keys is also a valid option. I've chosen, for example, ⌘+ALT+⇦ and ⌘+ALT+⇨. Not the answer you're looking for? 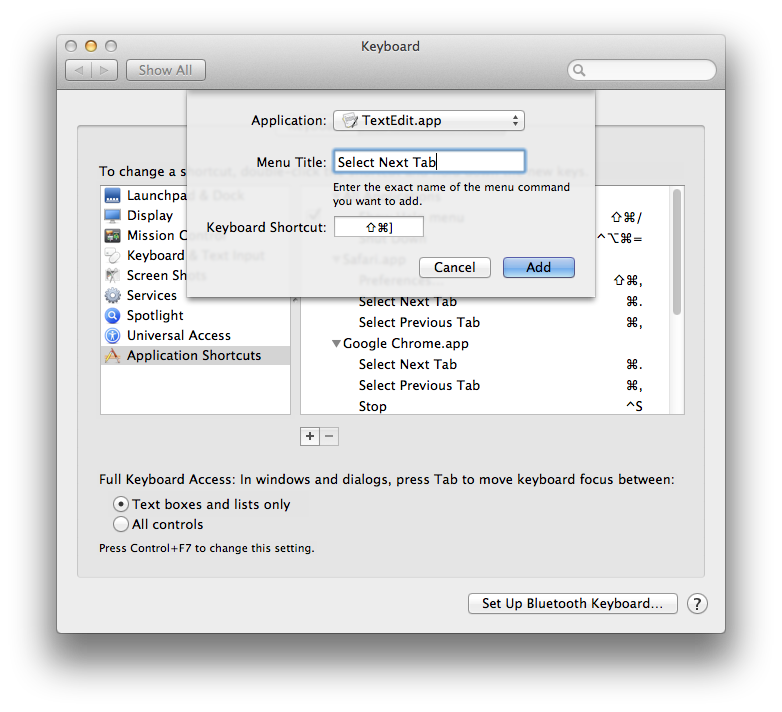 Browse other questions tagged lion terminal keyboard . How can I switch terminal settings using a keyboard shortcut? How to switch between different Chrome windows with keyboard shortcuts?